Coated discs, providing the ultimate protection from corrosion. Coated discs are perfect for vehicles with alloy wheels. No need to de-grease coated discs. 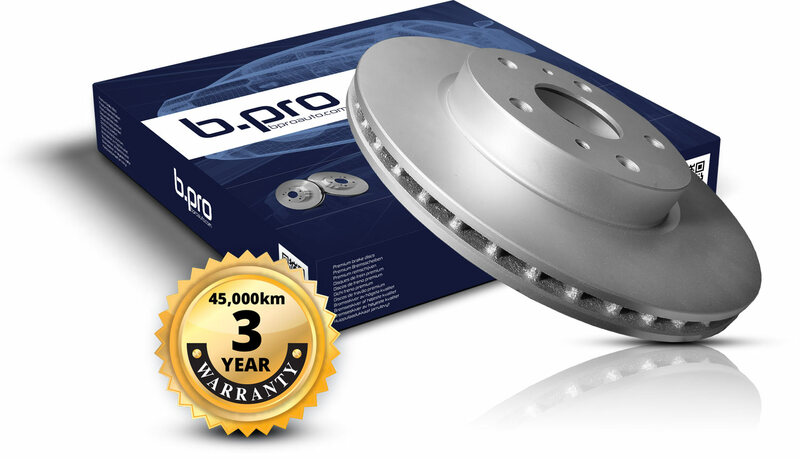 Brake Discs from b.pro,offering a 3 year 45,000km warranty ! The b.pro brake disc range aims to deliver added value features and upgrades to both enhance the driver experience and to deliver the consumer and professional client, a quality component they can rely on.